Belle Sorenson Gunness was born in Norway and immigrated to America in 1881. She settled in the Indiana and Illinois area. 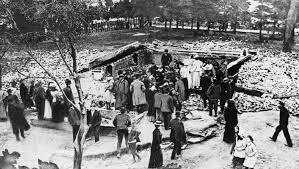 Several deaths and disappearances connected to her were suspicious and she collected insurance money as a result of some of these deaths. How did she do it? 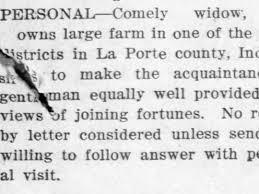 After Belle Gunness moved to America, she ended up in Chicago where she met Mads Sorenson. They opened a business together and had four children. A year after they opened their store, business fell off and they were financially strapped until the store building caught on fire and they collected the insurance money. Over the next couple of years, two of their children died. They both had symptoms of poisoning. Both of those kids had life insurance policies, which Belle collected. Her husband died in 1900, coincidentally on the one and only day that two life insurance policies overlapped. The first doctor to treat him thought he was suffering from strychnine poisoning; he was talked out of pursuing that. No one knows why. One idea is most people did not think of a woman as being capable of committing such acts. She used the insurance money to purchase a farm in Indiana. A building on the farm burned down shortly after she purchased it and again, she collected insurance money. 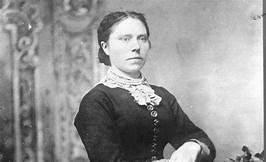 Belle Gunness married Peter Gunness in 1902. He was a widower with two daughters. After they were married they all lived at Belle’s farm. Soon after their wedding, Peter’s youngest daughter died from “unknown causes,” however she was alone with Belle the day she died. Just nine months after they married, Peter Gunness was killed when a meat chopper fell on his head. They had a foster daughter named Jenny, who had said, “My mama killed my papa. She hit him with a meat cleaver and he died. Don’t tell a soul,” which led to an investigation into his death. 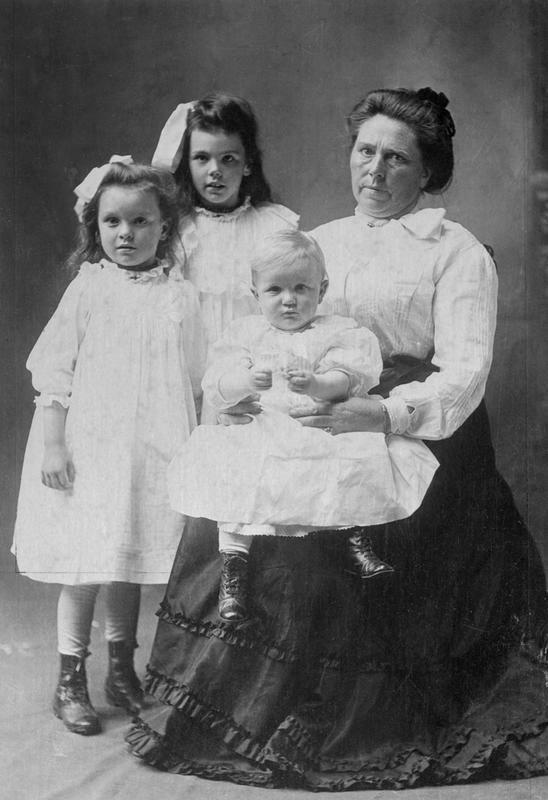 Belle Gunness was pregnant at the time and it is thought she used her condition to convince the authorities that she could not possibly have done it. Of course, she cashed in on Peter’s life insurance policy. After she gave birth to her son in 1903, she was left with four children. Peter’s oldest daughter was taken in by one of his uncles, which likely saved her life. Belle began putting personal ads in some of the big city newspapers. Many answered her ad and brought cash and other valuables to show off their wealth. None of them were ever heard from again. 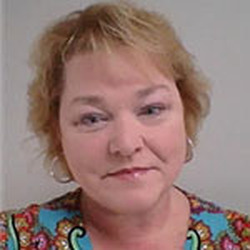 Jenny, the foster daughter became a liability and disappeared. Belle said she was sent to finishing school in California, but no one ever saw her again. Belle Gunness had become acquainted with Andrew Helgelein, who became enamored of her. He withdrew all his money from his bank account before meeting with Belle and was never seen alive again. 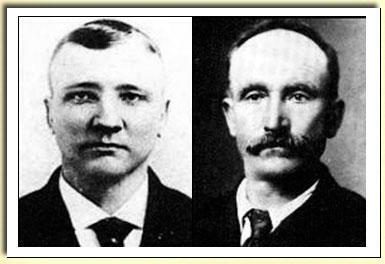 All of these men who had disappeared after meeting with Belle had loved ones who eventually connected the dots. Andrew’s brother Asle was adamant he'd find Andrew and wrote to Belle inquiring about him. She claimed she never met him. He didn’t believe her and traveled to Indiana to find out what happened. One day in 1908, Belle wrote her last will and testament and claimed she was afraid for her life. She said Ray Lamphere, an ex-farm worker, was in love with her and very jealous of all of her suitors. That same night her house burned down. What Happened to Belle Gunness? Investigators found four bodies inside the house, three children and a decapitated body of a woman. Ray Lampere was arrested for murder but there were some who did not believe that that woman’s body was Gunness. The shape of the body did not match Belle’s generous form. In the burned remains of the house, they found many gold watches. Andrew Helgelein’s brother was raising suspicions about Belle. He asked Belle’s current handyman if Belle had dug any holes on the property. He pointed them to the hog pen. When they started digging, they found Andrew, who had been cut up into pieces. They found several bodies, including that of the foster daughter, Jenny. Because the bodies were all cut up, it was tough to know exactly how many bodies they found. Many more bodies were found in nearby fields, most never identified. Lampere admitted to helping Belle dispose of the bodies. He claimed she killed forty-two people. She would give them dinner then drug their coffee so she could smash their heads in with a meat cleaver. Lampere claimed a woman had been killed and Belle chopped her head off so she could fool authorities. Allegedly she drugged her children, killed them and burned down the house. Gunness had emptied her bank account the day before the fire. Many believe she faked her death and left town. 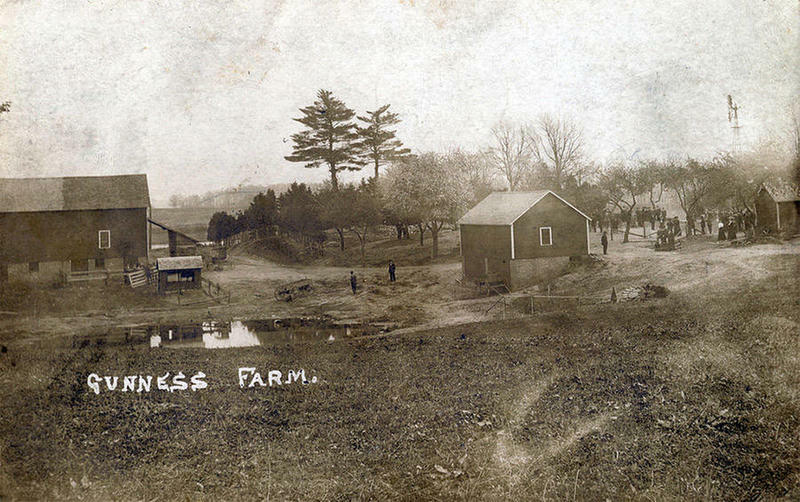 There have never been any confirmed sightings of Belle Gunness after the fire.